The commissioner’s office plans to recommend the use of metal detectors at ballparks next season. CAMBRIDGE, Mass. 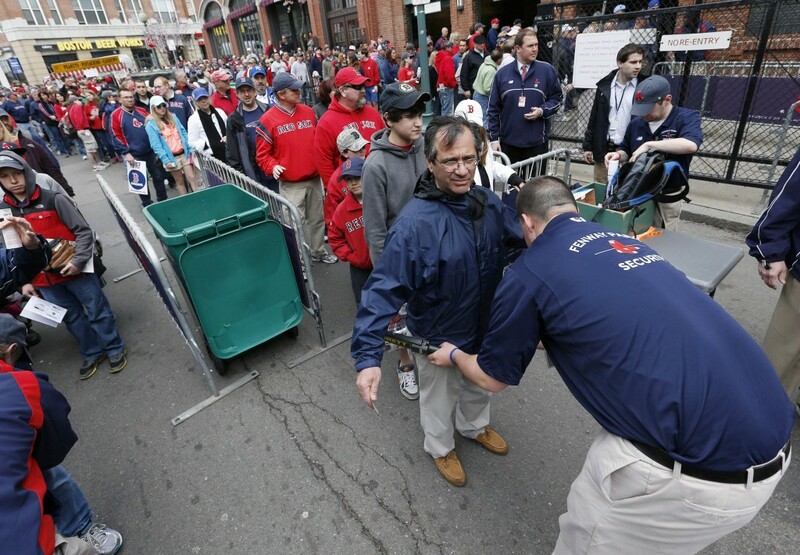 — Baseball fans should expect to go through a metal detector to see their favorite team play in 2014. Major League Baseball security director John Skinner said on Friday that all 30 teams are expected to screen all fans entering their ballparks next season. Some aspects of the screening will be left to individual teams, but the commissioner’s office is planning to recommend walk-through metal detectors, he said. Three people were killed and more than 260 wounded in April when two bombs were set off at the finish line in April. Since then, most sporting events and facilities have increased security, with the NFL limiting fans attending regular-season games this year to a single, see-through bag for their belongings. In Boston, the bombings led to an increase in security at sporting events that included checking all cars entering the garage under the TD Garden, the home of the Bruins and Celtics. Many of the more visible measures were eventually dropped and there were no further terror incidents; a large contingent of law enforcement was out on the night the Red Sox clinched the World Series, and police said they arrested nine people for unruly behavior during the celebration. Skinner told The Associated Press after the panel that baseball will be making a presentation to its teams at the winter meetings in December in Lake Buena Vista, Fla. Asked for more details, MLB spokesman Michael Teevan said the plans are still developing.